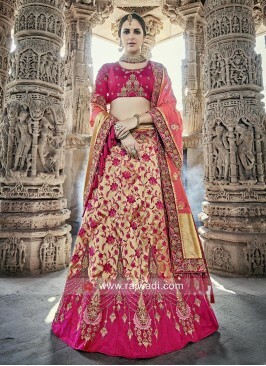 Give your personality a royal touch in this bridal wedding Lehenga Choli. 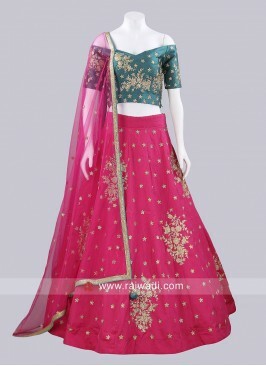 The fabric of this Lehenga choli is Satin. The embroidery work of the ghaghra is amazing. 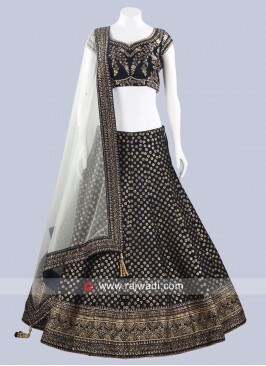 The Choli is embroidered while the Net dupatta is also completed with lace border. 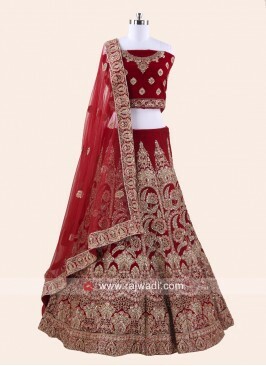 Satin Lehenga Choli with .. Bottle Green Flower Work .. Dark Navy Blue Velvet Leh..